Tallahassee Firms and FICPA Rally for a Cause! On May 21st of 2016, the FICPA Young CPA Committee hosted their second annual CPA Day of Service where CPAs from all over the state volunteered in their communities on the same day. In the Tallahassee area we volunteered at Grace Mission, a community outreach organization. Several CPAs and staff from the FICPA came out to lend a hand in painting the inside of their facility and cleaning the inside and outside of several busses that the organization uses.In late July of this year, Grace Mission reached back out to the CPA firms and their staff in Tallahassee requesting aid for 15 children in the local community who were in need of school supplies that their parents could not afford. 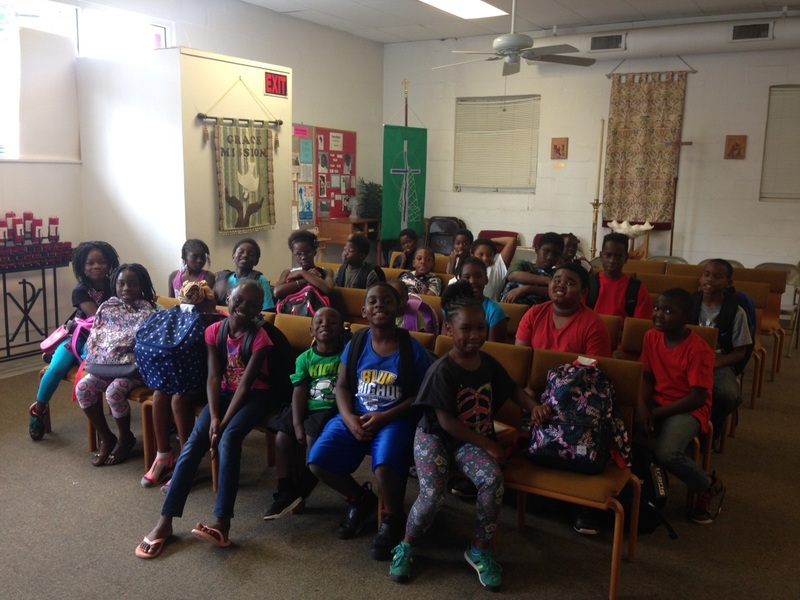 The students ranged from 1st grade to 6th grade and attend Grace Mission’s After-School-Program, a free program for the kids to attend from 3:00 – 6:00 on Tuesday, Wednesday, and Thursday. The students are picked up by busses from their school and dropped off at the Episcopal University Center on Florida State University’s campus where the program is held. Grace Mission provides snacks, tutors for help with homework and reading, creative play and enrichment programs. They have had, at various times over 50% of their students on the honor roll. The local Young CPA representatives in the Tallahassee area received this request from Angie Brooke, FICPA Emerging Professionals Sr. Manager, the morning of July 27th. The local Young CPA representatives took off immediately through their firms, and within hours all 15 students were spoken for on their school supply needs. Thomson Brock Luger & Co.
Grace Mission held a blessing of the backpacks on August 3rd (pictured).